A tool to collect DNS records passively to aid Incident handling, Network Security Monitoring (NSM) and general digital forensics. 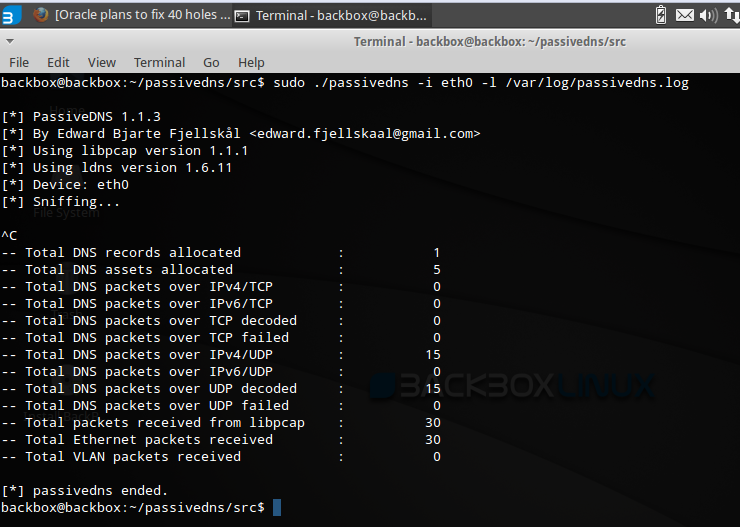 PassiveDNS sniffes traffic from an interface or reads a pcap-file and outputs the DNS-server answers to a log file. PassiveDNS can cache/aggregate duplicate DNS answers in-memory, limiting the amount of data in the logfile without loosing the essens in the DNS answer.